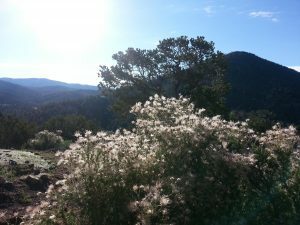 This list was compiled by the Santa Fe Native Plant Project (SNaPP). SNaPP is a certification and public education program of the Santa Fe Master Gardener Association. Its mission is to promote the use of native plants in the local landscape . The following list consists of plants native to New Mexico and known to do well in the Santa Fe area. Most are usually available from local nurseries and mail order businesses. We have included mature height and spread for many plants, but these will vary by site and moisture availability; these characteristics differ across references, sometimes greatly. We cannot predict how a particular plant will respond to any particular site or care regimen.